"Solidarity from a distance is not solidarity at all." The Rev. Jesse Jackson has called Larycia Hawkins, PhD., a modern-day Rosa Parks. Her costly decision, motivated by her own Christian commitments, to embody solidarity with Muslim women, is the subject of a documentary film, "Same God" (Midgett Productions) that will debut at the LA Film Festival on September 24, 2018. At the time of her activism, Doc Hawk (as her students called her) was Associate Professor of Political Science at Wheaton College (IL), where she was the first black woman to receive tenure in the history of the university founded in 1860 by abolitionists. 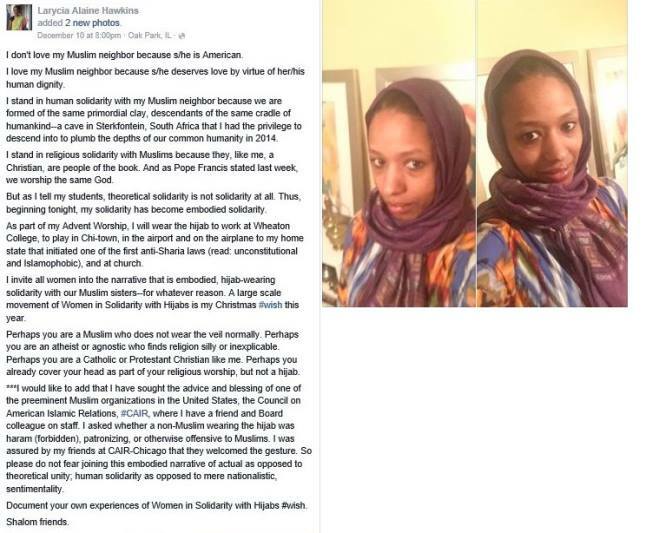 Two months following the commencement of her embodied solidarity with Muslim women, she and Wheaton College, a Christian university, “parted ways”. 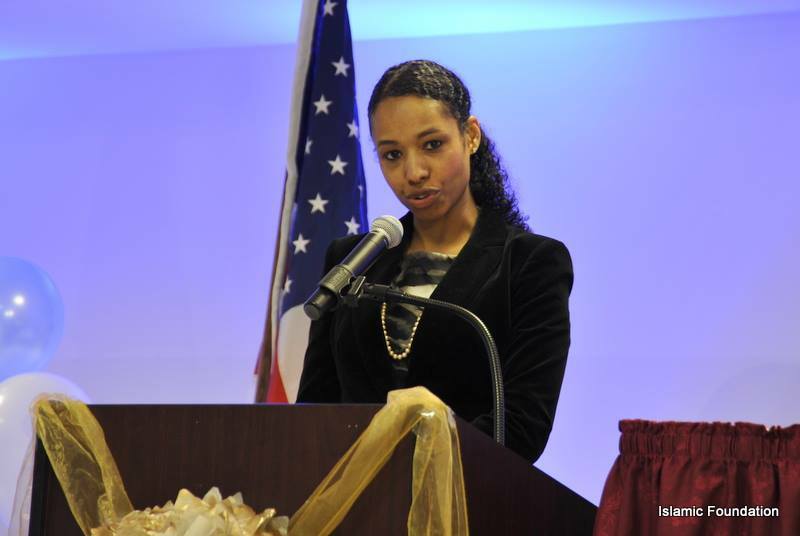 In an era where the contours of American citizenship are actively contested on multiple fronts, Larycia Hawkins continues to walk in embodied solidarity with Syrian refugees during a visit to Turkey with the Zakat Foundation; with survivors and perpetrators of the genocide in Rwanda; and to speak nationally and internationally, including at the Free University of Berlin, Harvard University, Princeton University, Zaytuna College, and a TedX talk on her act of embodied solidarity. Professor Hawkins teaches and researches at the University of Virginia, where she is jointly appointed as Assistant Professor in the departments of Politics and Religious Studies; serves as a Faculty Fellow at the university's Institute of Advanced Studies in Culture; is a Contributor to the Project on Lived Theology; and co-convenes the Henry Luce Foundation project, Religion and Its Publics. ...theoretical solidarity is not solidarity at all. "The Professor Wore a Hijab in Solidarity: Then lost her Job"
"Long Island Islamic Center Honors Christian Professor"
"Professor of Same God Rift to Speak at Muslim Conference"